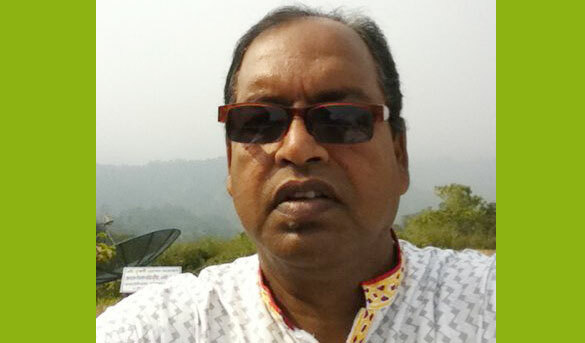 The former adviser to BNP chief, Shamsuzzaman Dudu is serving as a vice chairman of the party. Founding member of Jatiyatabadi Chhatra Dal, Dudu was its president in 1985 and 1986. The then Chhatra Dal leader ran for the vice president post of Dhaka University Central Students' Union (DUCSU) under the banner of Dudu-Ripon council in 1988. He was the youngest member at the secretarial body of BNP. At jus 23, Dudu became the party’s mass education affairs secretary in 1987. The BNP leader was appointed the general secretary of Jatiyatabadi Krishak Dal in 1992 and is serving at the post ever since. Most importantly, he was elected lawmaker twice. Despite being a politician, Dudu is a sports organiser. For instance, he was the general secretary of Brothers Union Club. The BNP leader was a journalist as well. He worked for Bengali daily Dainik Bangla and was the editor of a well-known weekly Prachya Barta. The seasoned politician shared his views in an exclusive interview with bbarta24.net at Dhaka Reporters’ Unity. bbarta: What’s your impression over the current political situation in the country? Dudu: Bangladesh is seeing slack practice of democracy these days. One cannot do politics normally currently. Organisational activities are done amid abnormal situation. There is neither freedom of expression and rule of law, nor liberty for media. In a nutshell, the masses are in facing tough time due to absence of basic rights. bbarta: BNP has passed many a years and you are involved with it since its foundation. Starting through student, you are now in central BNP. How do you assess BNP after so many years? Dudu: BNP was formed in order to reinstate democracy in the country. BNP’s birth was aimed at helping the country achieve economic freedom and boost up shape the spirit of liberation. One has to get back to the 1972-75 tenure in order to understand what BNP is all about. BNP was founded in the wake of unabated irregularities, administrative mismanagement and hardline stance by the then government to repress opposition parties. BNP is a true party with the ideology of Liberation War. BNP is the only party to adopt the teaching of the Liberation War. bbarta: You worked with BNP founder Zia. And, now you are one of colleagues of current chief of the party. What are the differences and similarities between the two? Dudu: Ziaur Rahman was the announcer of Liberation War. He was a bold figure against irregularities. Other than announcing the war of liberation, he physically led in battlefield and ruled the country as a president with fame. His greatness was recalled at home and abroad by political personalities and eminent citizens after his demise, which is a matter of pride for the nation. Khaleda Zia started her mission from where he stopped. As an uncompromising leader, she defeated the military ruling, reinstating government in the country. She returned rights to the countrymen. But, the people could not taste the rights of democracy for so long. The country is under the capture of fascists. Our leader (Khaleda) is struggling to restore democracy in the country. Most of her life is spent for establishing the rights of people. bbarta: Many say that BNP, once a powerful party, is weakening. Do you agree with this? Dudu: BNP is the most accepted largest party of Bangladesh. So, it requires to analyse BNP with adequate information and data. Critics make comments many times for the sake of criticism. They never come up with in-depth information before criticising. BNP was formed to protect and establish people’s rights. The matter of a political party being big or small is relative when a country is gripped by fascists and people are deprived of their rights. BNP is still working to establish people’s rights and democracy. The countrymen accepted the cause why BNP was floated and are still on it. BNP will make a comeback like Phoenix birds. Bbarta: Will BNP run for the next general election? Could you please explain why it will contest or will not the polls? Dudu: Our party is pro-election one. Polls are the main weapon to change government. We want to go to state power through polls. But, the election must be participated by all parties and which the people will exercise their franchise for. All demonstrations by BNP were staged to help return people’s rights to vote. Bbarta: BNP is not at the House now, and is not even vocal on streets. Then, where is BNP now? What is the destination of BNP in future? Dudu: BNP lies within the hearts of the people and democracy. BNP had tilted the foundation of autocracy in the country. Even the government grapples when it hears about BNP. BNP want to remain in parliament and streets. Just wait and you will see. Bbarta: You have recently announced a massive central committee. Does a huge committee guarantee a large party? Dudu: The population of the country is increasing and it is about 17 crore now. When the population was 7.5 crore, there was 300 lawmakers in the House. As our committee, we are considering expanding the parliamentary seats to 500 in future. Our leader (Khaleda) has told the nation about the plan long before. Considering the matter, our committee is not that big.